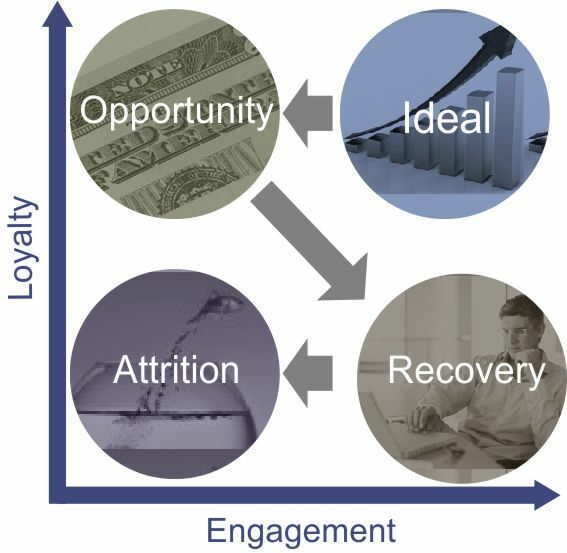 The business attribute with the highest correlation to profitability is loyalty. Loyalty lowers sales and acquisition costs per guest by amortizing these costs across a longer lifetime – leading to some extraordinary financial results. 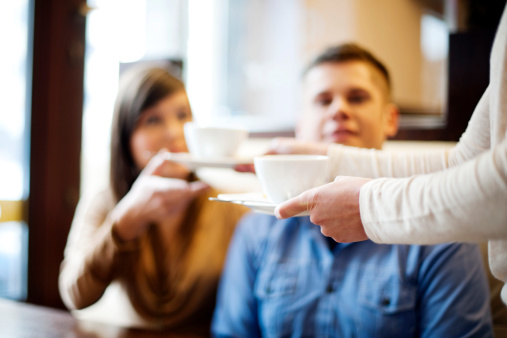 However, the question remains, what service attributes drive guest loyalty? To answer this question from a behavioral standpoint Kinesis conducted 400 restaurant mystery shops with the purpose of determining which service attributes/behaviors drive guest return intent. Forty-six service attributes were observed across five dimensions of the guest experience: environment, food & beverage quality, greeting, personal attention and timing of food and beverage delivery. In order to determine the relationship of these attributes to return intent, Kinesis asked mystery shoppers if, based on the guest experience, they intended to return to the restaurant. This independent variable was then used as a basis for cross-tabulation to determine the frequency with which the behaviors were observed in shops with positive return intent and negative return intent. Of the ten attributed with the strongest relationship to return intent, five belong to the personal attention dimension, three belong to the timing dimension, the food & beverage quality and greeting dimensions round out the top ten with one attribute each. 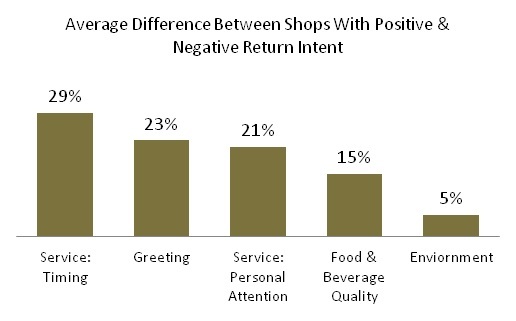 Outside of the timing of food and beverage delivery, the dimensions of the customer experience with the strongest correlation to return intent are the greeting and personal attention, followed by food and beverage quality and the physical environment. In two earlier posts we discussed 1) including a loyalty proxy as part of your brand perception research and 2) determining the extent to which your desired brand image is reflected in how customers actually perceive the brand. Now, we expand the research plan to move beyond loyalty and brand perception, and investigate customer engagement, or the extent to which customers are engaged with the brand through share of wallet. The first step in measuring customer engagement is capturing top-of-mind comparisons of your brand to competitors. 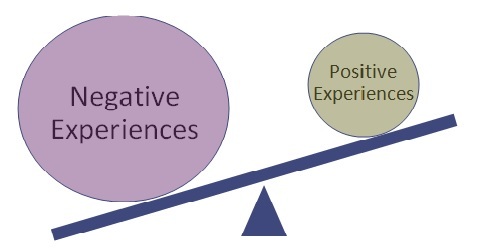 There are many ways to achieve this research objective, perhaps the simplest is to present the respondent with a list of statements regarding the 4-P’s of marketing (product, promotion, place and price) and asking customers to compare your performance relative to your competitors. Similar to the brand perception statements discussed in the previous post, these competitor comparison statements can be used to determine which of these service attributes have the most potential for ROI in terms of driving loyalty, again, by cross tabulating responses to the customer loyalty proxy. The next step in researching customer engagement is to determine if the customer considers you or another brand their primary provider. This is easily achieved by presenting the customer with a list of providers, including yourself, and asking them which of these the customer consider their primary provider. Finally, we can tie industry comparisons to primary provider by asking why they consider their selection as a primary provider. This is best accomplished by using the same list of competitor comparison statements above, and asking which of these statements are the reasons they consider their selection to be the primary provider. Similar to the brand perception statements discussed in the previous post, these competitor comparison statements can be used to determine which of these service attributes have the most potential for ROI in terms of driving loyalty, by cross-tabulating responses to these statements to the loyalty segments. 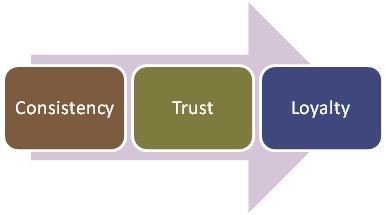 In an earlier post we discussed including a loyalty proxy as part of your brand perception research. In a subsequent post, we will address ways to measure engagement/wallet share. The first step in measuring your brand perception is to define your desired brand. Ask yourself: if your brand were a person, what personality characteristics would you like your customers to describe you with? What adjectives would you want used to describe your brand? We are like a trusted friend. We are interested in customers as people, not just the bottom line. We are committed to the community. So, we defined the brand in terms of personality adjectives and statements. Both will be used in designing the survey instrument. The first step in the survey instrument, is asking customers for their unaided top-of-mind perceptions of the brand. This will uncover the first thing that comes to customers’ minds about your brand prior to the effects of any bias introduced by the research instrument itself. There are many ways to capture unaided top-of-mind impressions. We like a simple approach, where you ask the customer for the one word that they would use to describe the company. This research question will yield a list adjectives that can be quantified by frequency and used to determine the extent to which customers top-of-mind impressions match the desired brand image. After we have defined top of mind impressions of the brand, we recommend comparing brand perception to your desired brand identified in the brand definition exercise described above. This is a fairly simple process of presenting the customers with your list of brand personality adjectives and asking the customer which of these adjectives would the customer use to describe the company. In a much earlier post we discussed using word clouds to interpret brand personality adjectives. The next step in comparing the reality of brand perception to your branding goals is to ask the customers to what extent do they agree with each of the brand personality statements described above. As with the list of adjectives, this holds a mirror up to your desired image and measures the extent to which customers agree that you are perceived in the manner that you want to be. The value of these brand perception statements goes beyond just evaluating if you live up to your brand. Used in conjunction with the loyalty proxies discussed in the previous post, they become tools to determine which of these brand personality attributes will yield the most ROI in terms of improving customer loyalty. This is achieved with a simple cross-tabulation of agreement with these statements by customer loyalty segment. For example, if NPS is used as the loyalty proxy, then we simply compare agreement to these statements from promoters to detractors to determine which attributes have the largest gaps between promoters and detractors. 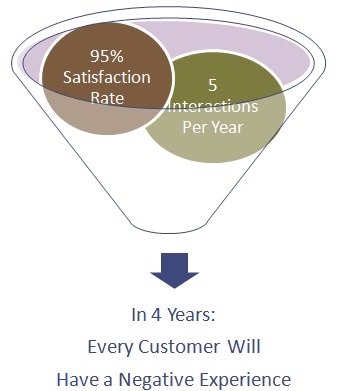 Those with the largest gaps have the most ROI potential in terms of customer loyalty.